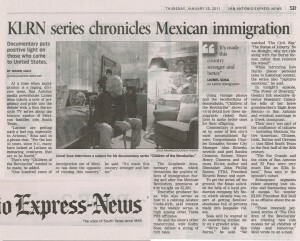 Friday the 14th of January was the date for the premiere of the new season of the KLRN documentary series The Children of the Revolucion. 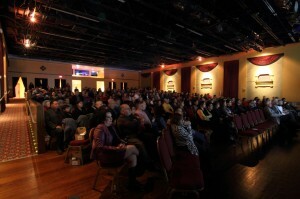 The screening was held at the beautifully renovated Guadalupe Cultural Arts Center. A full capacity audience witnessed history as they saw the telling of the story of the last 100 years of Texas… A story that was altered by the tumultuous Mexican Revolution that led Mexicans to flee to the United States for a better life. The episode screened Friday was the story of the Munguia/Cisneros family as told by Henry Cisneros and his mom Elvira Cisneros. Previews of future shows were also screened including the stories of Rose Catacalos, Alex and Lucille Briseño, and Patti Elizondo. Afterwards, a discussion was held about these previously untold stories. Toi Montelongo posted on the Children of the Revolucion site, “This was an eye-opener for me… These stories will help others understand how our Latino culture began in the city and how so many of our ancestors worked to ensure a bigger and better future for all Latinos. KLRN will premiere Children of the Revolución, at the Guadalupe Theater on Friday, January 14, at 6:30 pm. The premiere will be a sampling of the 20-part documentary series which tells the stories of families who fled Mexico and came to Texas to escape the Mexican Revolution beginning 100 years ago. This exodus jump-started today’s Latinization of Texas and America’s Southwest. 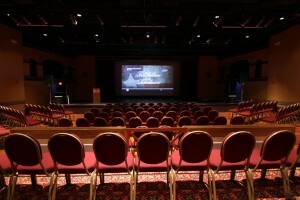 The free event will include a reception before the screening and is sponsored by BudLight. KLRN will televise the shows throughout the year every Thursday evening at 8:30 pm beginning January 20th as the “Children of the Revolución” continue to tell the stories of their ancestors who risked it all to make this journey. With an introduction by Kathy and Lionel Sosa, the multi-part series includes conversations with some of San Antonio’s most influential figures including Congressman Charlie Gonzalez, former city manager Alex Briseno, Emmy Award winning journalist Patti Elizondo, cultural anthropologist Tomas Ybarra Frausto, MacArthur Fellow Sandra Cisneros, former mayor Henry Cisneros and his mom, and Elvira, Notre Dame professor Virgilio Elizondo and UTSA President Ricardo Romo. Each episode highlights the stories of families who have made a positive impact in Texas and in San Antonio. 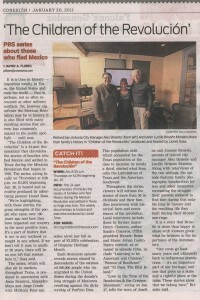 The series was produced in association with Jesus Ramirez, Alejandro Maya and Jorge Conde at MyStory. The Guadalupe Cultural Arts Center is a 501(c)(3) non-profit organization founded in 1980 to preserve, promote and develop the arts and culture of the Chicano/Latino/Native American peoples for all ages and backgrounds through public and educational programming in six disciplines: dance, literature, media arts, theater arts, visual arts and music. Visit www.guadalupeculturalarts.org or call (210) 271-3151 for more information. 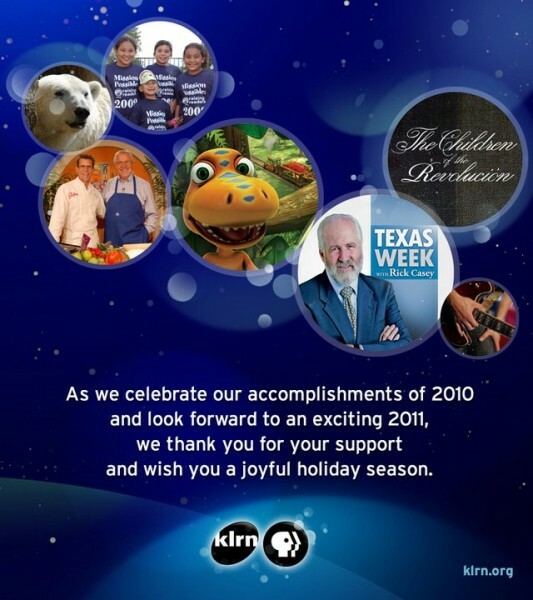 The Children of the Revolución documentary was included in the KLRN Christmas Greetings. Support the show by Liking us on Facebook and visiting ChildrenOfTheRevolucion.com. The Children of the Revolución returns January 2011. Stay tuned! On Tuesday, the 14th of September, the McNay hosted the premiere viewing of the first The Children of the Revolución mini-documentary series. A who’s who of San Antonio leaders, members of KLRN and extended family of the “children” of the Revolución were present to witness this historical Ken Burns-like documentary about those who fled Mexico during this difficult time and came to America to make it a better place. 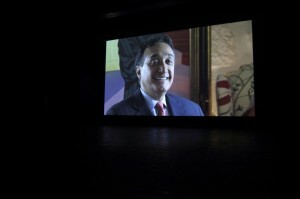 The first show featured the life of Ricardo Romo, President of UTSA (a child of the Revolution). Stay tuned at 8:30 pm every Thursday for future episodes.